Last year I wrote a post about Granny Square quilts here. 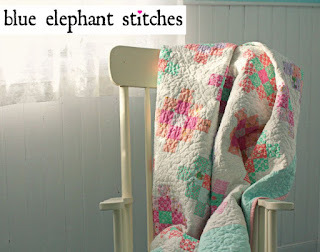 These were inspired by Jolene at Blue Elephant Stitches whose blog I've been following for a while. 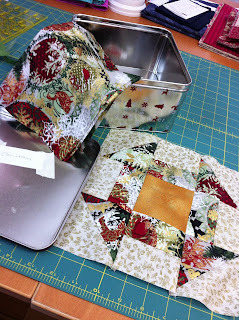 She has updated her tutorial and it is up at the Moda Bake Shop and the new tutorial uses pre-cut jelly roll strips. 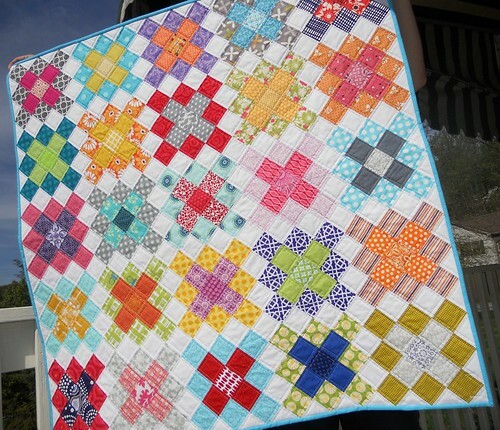 Doesn't that just inspire you to bring out the bright colours and start sewing? I've had my eye on this table runner called "Cottage Garden" by Kim Diehl from her book, "Simple Graces", for quite some time. 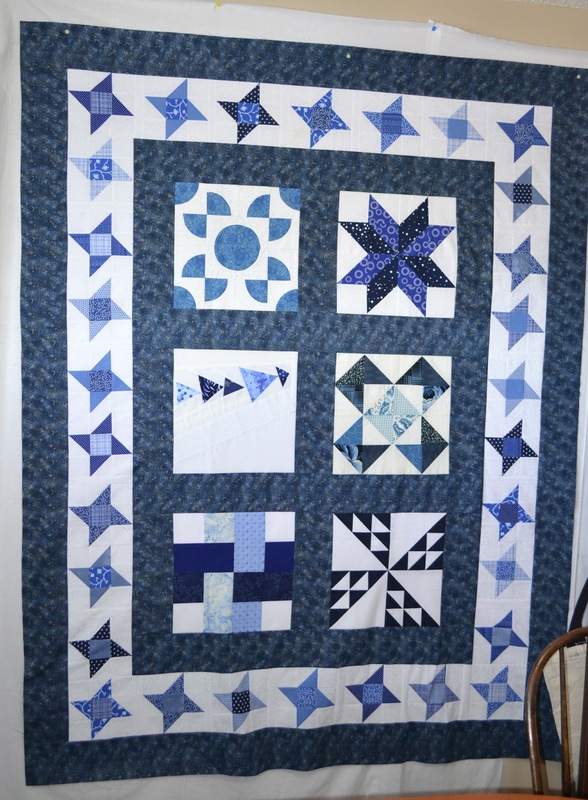 Just after Christmas, I came across some remnants at the local fabric store and realized they would be perfect for making this. My table runner back is pieced from 2 different cream print fabrics and I'm drawing the colors from the pretty red floral print, so it's a little more primary colors than the muted country colors in the sample in the book. I pulled the blues and golden yellows from my own fabric stash. 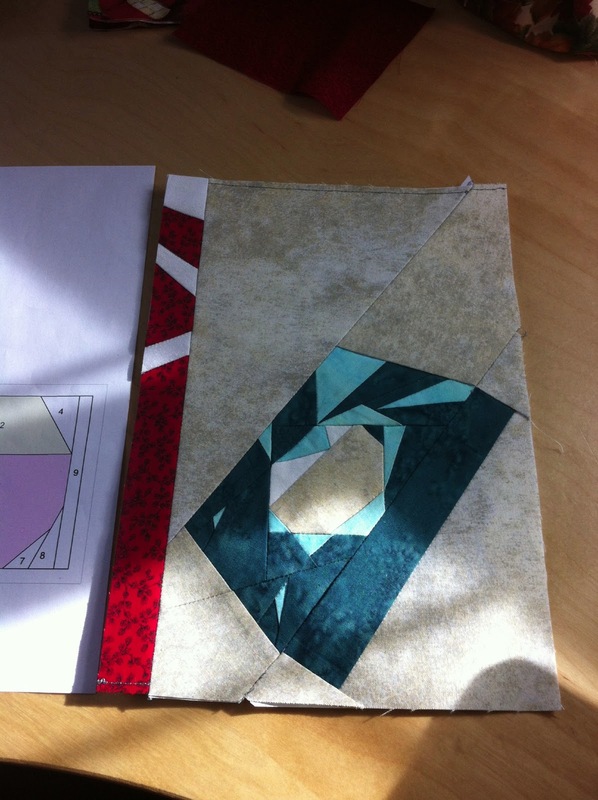 I will be hand-appliqueing this, so don't expect a finish any time soon! If you're counting, that gives me 4 hand work projects on the go - 1. Lady's Slipper Applique, 2. Wool Chickadee candle mat, 3. Paper-pieced hexagons and 4. This one - Cottage Garden Table Runner. How about you? Do you like hand work? 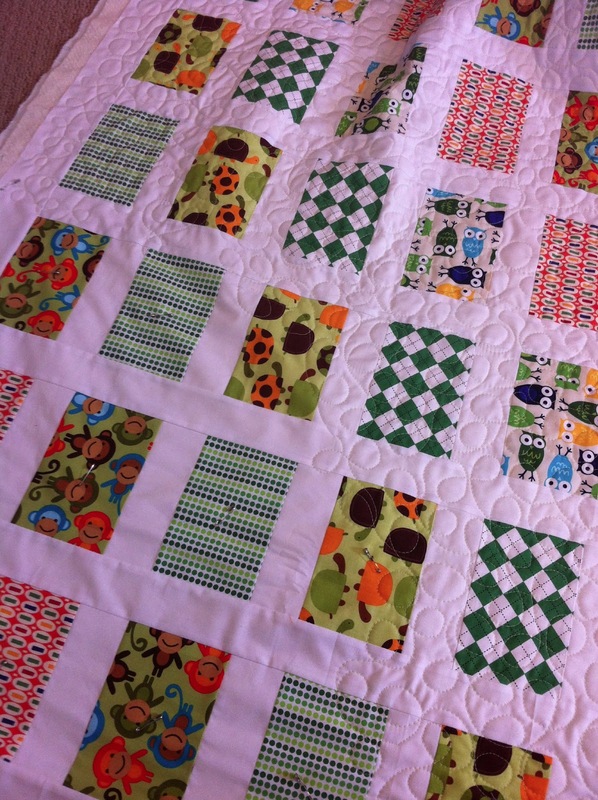 Or are you an all-machine sewer/quilter? And last week I started quilting this baby quilt on my machine, but for some reason, still unknown, when the bobbin thread ran out, my machine needle hit the plastic on the free-motion foot and broke the needle. The main shaft on the free-motion foot is slightly bent and my landscaper son did a quick fix by filing a bit off the plastic so I could finish. 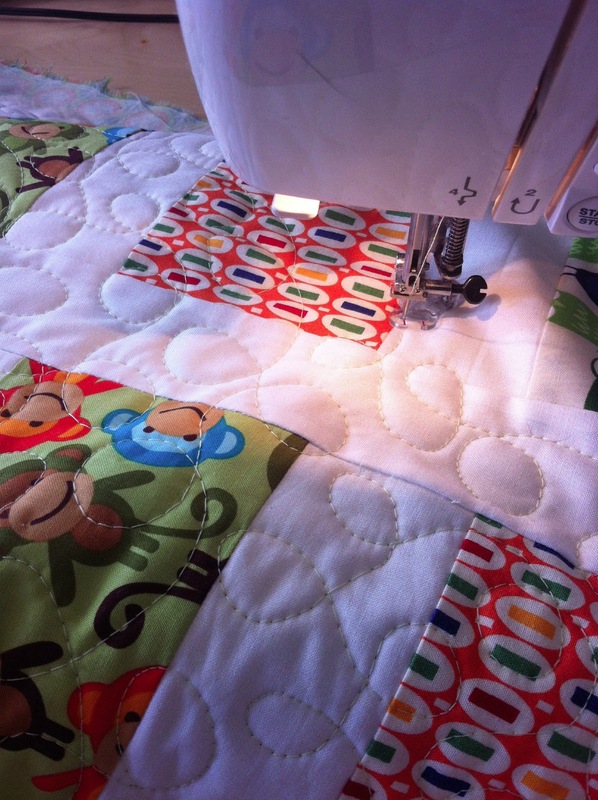 I have made this pattern a few times and I think I need to up the challenge by quilting something other than an all-over meander or loopy stitch. Any ideas? And today, I sewed at my friend's house and this is what she's been working on - a paper-pieced Harry Potter quilt. The pattern is a block of the month from Sewhooked and if you're a Harry Potter fan, this is an awesome project! 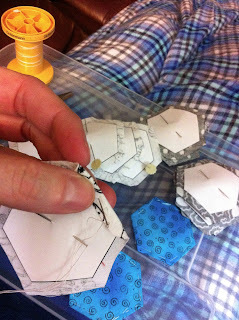 Do you remember these blocks from the Flickr 3x6 Bee Quilt Block exchange? 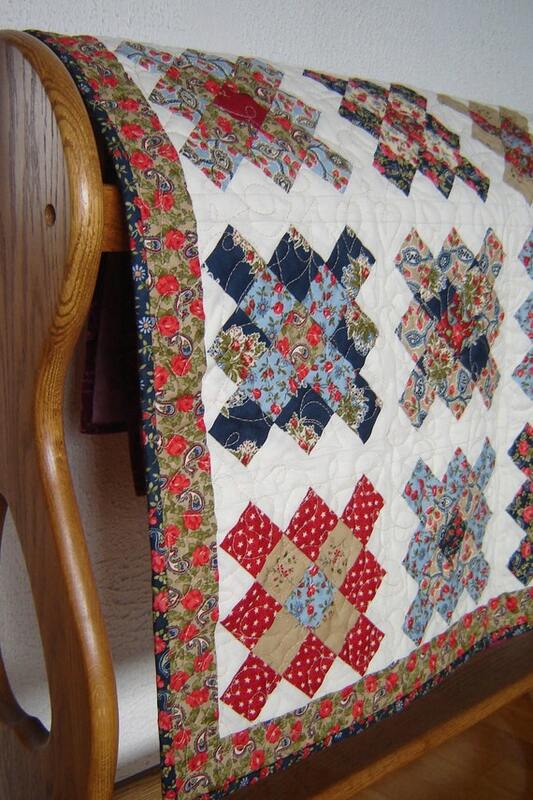 I pulled out the quilt blocks that had yellow and purple in them and made this quilt with batik sashing and borders. 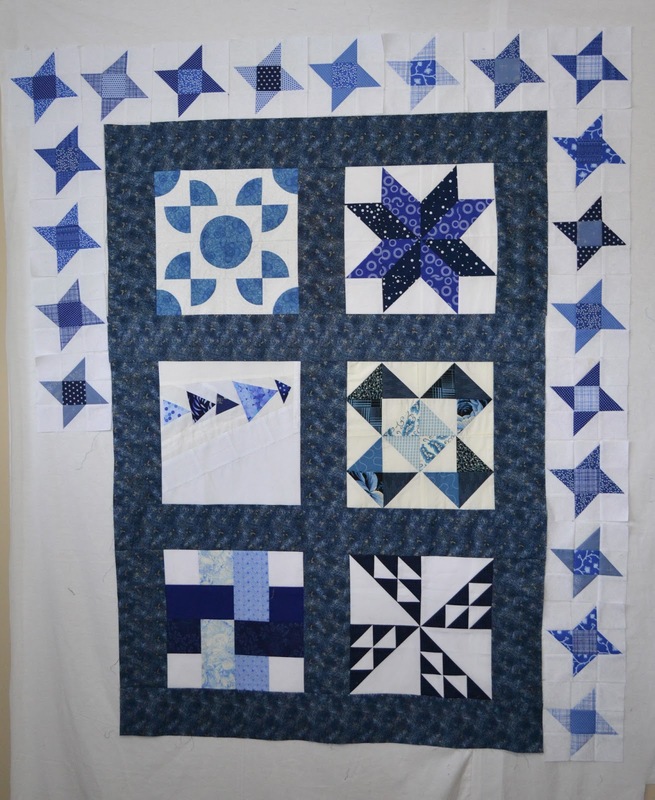 And I had 6 blue and white blocks left that I thought I could make into a baby quilt, but when I got it together, it didn't look very baby-ish to me. 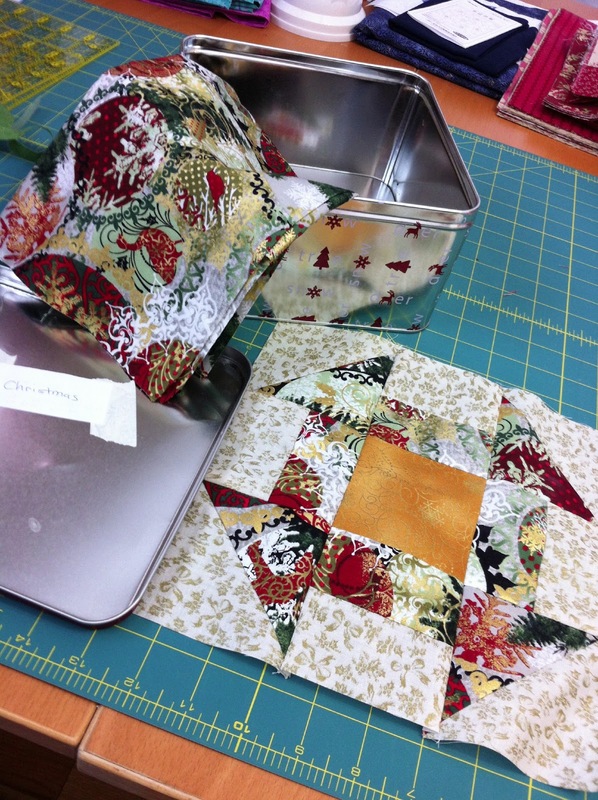 And then it was put aside until I could figure out what I wanted to do with it. 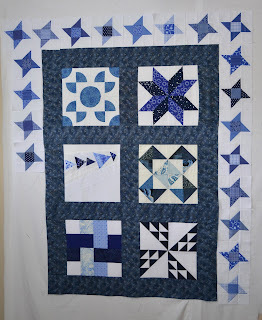 I decided I would add a pieced border and another border of the same blue I had already used to sash and border the original quilt blocks. I like how it's coming together so far! 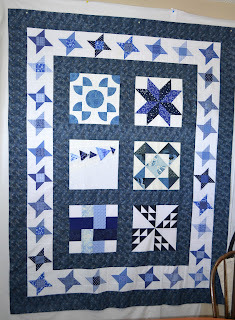 I think when I have this blue and white quilt finished, I will go back and join the next exchange again. 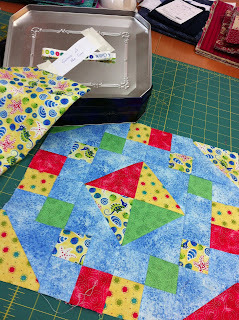 It's a great challenge for me to work with someone else's colour choices and it's fun to find a unique quilt block to make.